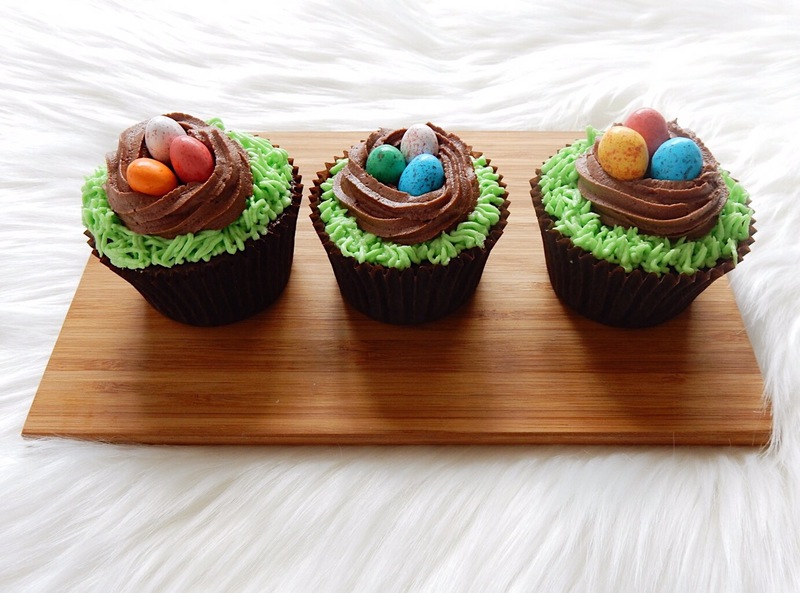 Easter is rolling around quickly and while the traditional gift of choice may be chocolate eggs and bunnies, why not try something a little different this year. 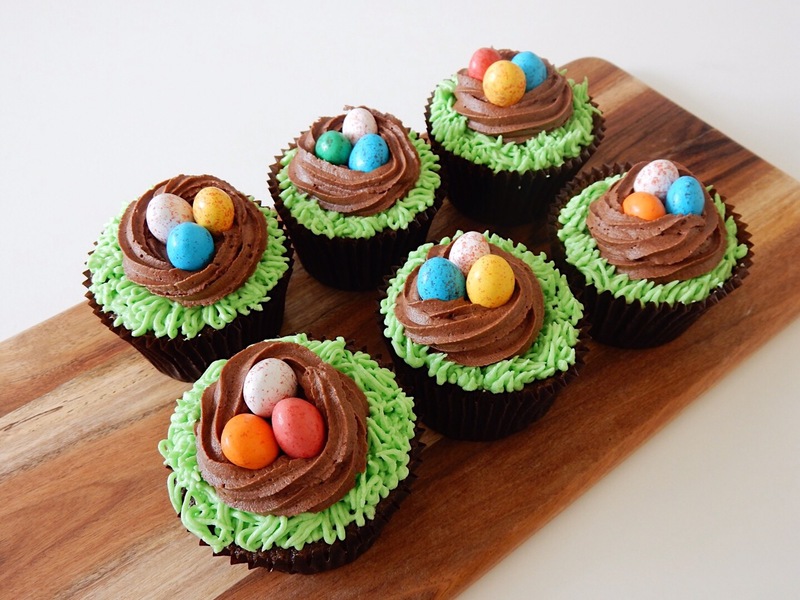 Speckled egg cupcakes are the perfect treat to bring along to your Easter celebrations. They are creative, festive and of course – super chocolatey! Preheat oven, following your recipe or packet instructions. Place all the dry ingredients into a bowl and mix until combined. Add the remaining (wet) ingredients to the bowl and mix using an electric mixer, until smooth. Line a 12 hole cupcake tray with cupcake wrappers. Evenly distribute the mixture between cupcake holders, using a pouring jug. Place your cupcakes in the oven for the recommended time, following your chosen recipe. When ready, remove your cupcakes from the oven and allow them to stand for a few minutes in the tray before transferring them to a cooling rack. You will need two types of buttercream for this recipe, green (vanilla) and chocolate. The easiest way to create this is to use a chocolate buttercream recipe but set half of the mixture aside before adding the chocolate or cocoa powder. You may also want to add extra vanilla to the ‘grass’ buttercream. 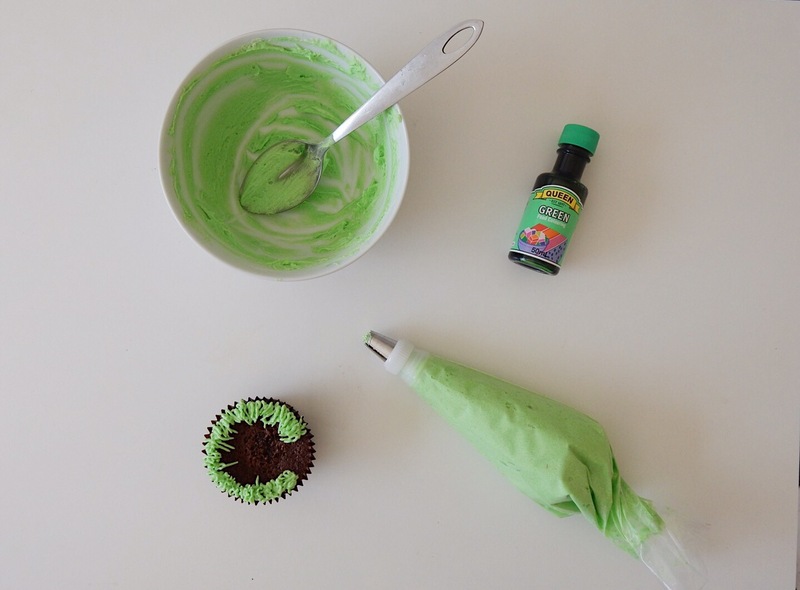 Add a drop of green food dye into your bowl of vanilla buttercream. Stir well and continue adding small amounts of green until you reach your desired shade. Fit a piping bag with a multi opening nozzle and spoon in your mixture. 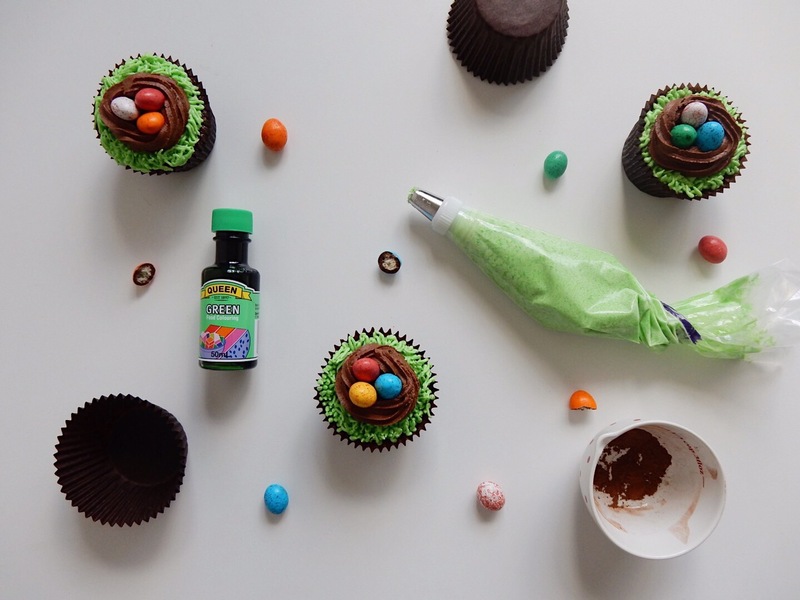 Starting from the outer edges, pipe the cupcake in a clockwise direction, holding the bag upright. Squeeze the piping bag and slowly pull up to create a strand. Be sure to stop squeezing before you pull nozzle away. Repeat this step (2 – 3 circles around) until you have covered about half the cupcake (the outer area) and are left with a small circle in the centre of the cupcake. Half the amount of melted chocolate or cocoa recommended in your recipe and add it to the remaining buttercream. Using an electric mixer, combine until smooth. You may need to add extra milk/cream or icing sugar, depending on consistency. Fit piping bag with a five point star nozzle (or you chosen nozzle) and add chocolate buttercream to piping back. Starting from the centre of the cupcake, pipe in a clockwise direction, until you cover the remaining cake . To create a ‘nest’ look, the outer chocolate buttercream should be piped a little higher than the inner circle. Add speckled eggs or jellybeans to the centre of your ‘nest’.